She is the poster child for it’s NEVER too late to live the life of your dreams…one of her own favourite quotes being: “If you don’t give up on your dream…your dream will not give up on you”…as see she walked her own talk…got out of her own ego-ways and manifested one of her deepest desires…becoming a professional jazz vocalist at the ripe sweet age of 51…humbly yet fiercely ☆ In 4 short years (E just turned 55) she sells out the world class ‘Jazz Bistro’ in downtown T.O. 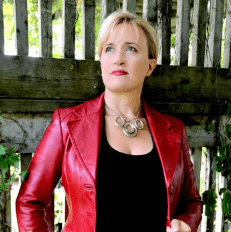 consistently & her first LIVE album (beautifully reviewed by CBC Music Library curator) ‘Heart & Soul…LIVE @ Jazz Bistro’ just launched on iTunes this past July! She’s feels ‘pinch me blessed’ to perform with worldclass Juno-winning artists. She is also an Artisan…and her Love Your Vibe Divinely Inspired Bling is about to go global! Elvira believes the right mindset creates magic & miracles. If a former Crap Magnet like her could become a Miracle Magnet…ANYONE can!. Elvira shares why she was inspired to get into the jazz scene and start recording and performing. She talks about being a spectator of a performance at a young age, and how her desires were dashed just as quickly. She talked about her “blessed breakdown” and explains why it was a good thing that she went through a 27 year period of being inauthentic. She talks about the evolution that led up to her becoming her current self. 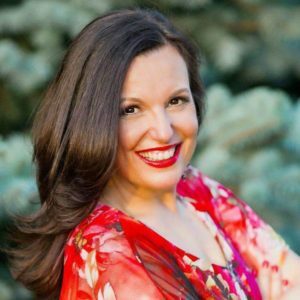 She describes a time in her life when she was operating out of ego, and how it was detrimental to her performance, and how when she switched over to coming from a place of humble service, her game changed completely. 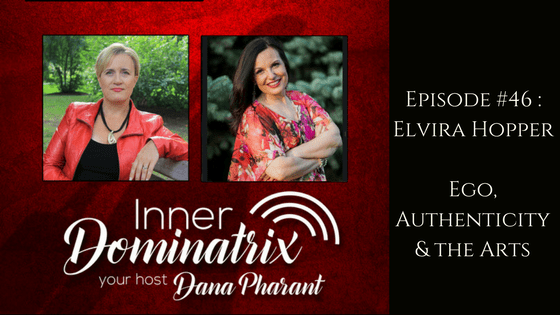 Elvira gives listeners a tool that they can use to tap into their high vibe space, so that they can begin to think more clearly and get out of their own way so that they can be themselves in peace.